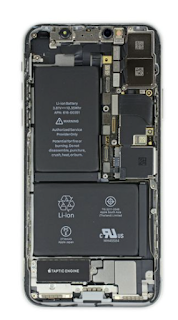 This new device has two logic boards and it has two batteries (a first for any iPhone). Two logic boards are sometimes called a sandwich design. So why two batteries and two logic boards? The X stands for 10 in iPhone 10. The 10th anniversary of the iPhone introduced by Steve.